Generations Resorts were designed for today's world of blended and extended families. 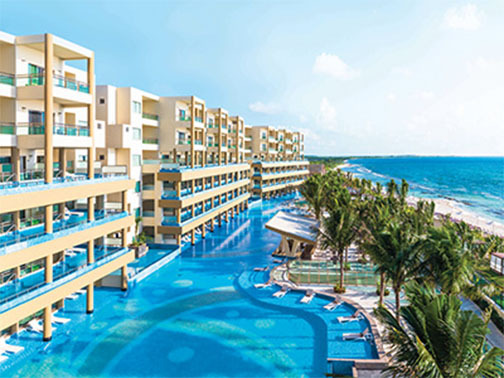 Boasting sophisticated suites, excellent butler service and a strategic location along a secluded beach, Generations Riviera Maya All Inclusive makes an ideal retreat in Riviera Maya. Diners enjoy nine exquisite restaurants and bars, including modern international cuisine at Chef Market, Mediterranean specialties at Habb, pan-Asian delights at Jade and Caribbean Mexican dishes at Palms Gourmet Terrace. Cocktails, drinks and light snacks and treats are available at the in-house bars -- Tamarind, Swell and Sling. Being sent to your room has never been better. 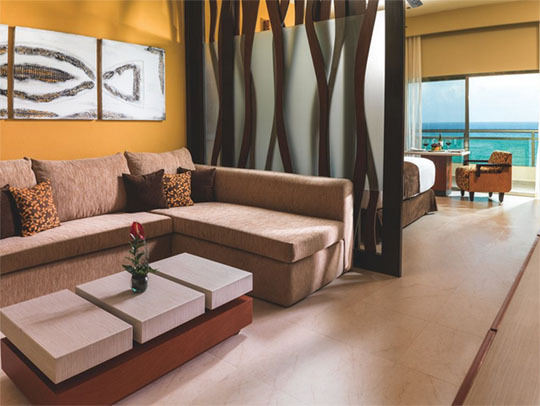 All 144 luxurious suites at Generations Riviera Maya are tastefully-decorated and are furnished with state-of-the-art amenities such as large balcony or terrace overlooking Mexican Caribbean Sea, whirlpool, 47-inch flat-screen TV, comfortable bathrooms and mini refrigerator. Conveniences include safe deposit box, plush bath robes, hair dryer, iron/ironing board, telephone, vanity mirror and closet space. You'll enjoy 24-hour in-suite dining experiences for every taste, so whether you want lobster tail or chicken fingers, everyone gets what they want, when they want it. Upon arrival, vacationers are greeted with a glass of sparkling wine. After frolicking at the nearby beaches, vacationers can indulge themselves in the treatments and therapies at Naay Spa. Horseback riding stables and guided tours are available at onsite Bonanza Ranch. Bring the family for a pampering vacation on the beautiful Riviera Maya.